Case in point: Savvy organizations are leveraging social media to boost their online appointment bookings. Announced in 2014 and released in 2015, Facebook’s soft rollout of its “Book Now” button allows consumers to book restaurant reservations, hotel rooms, and more directly from the platform. 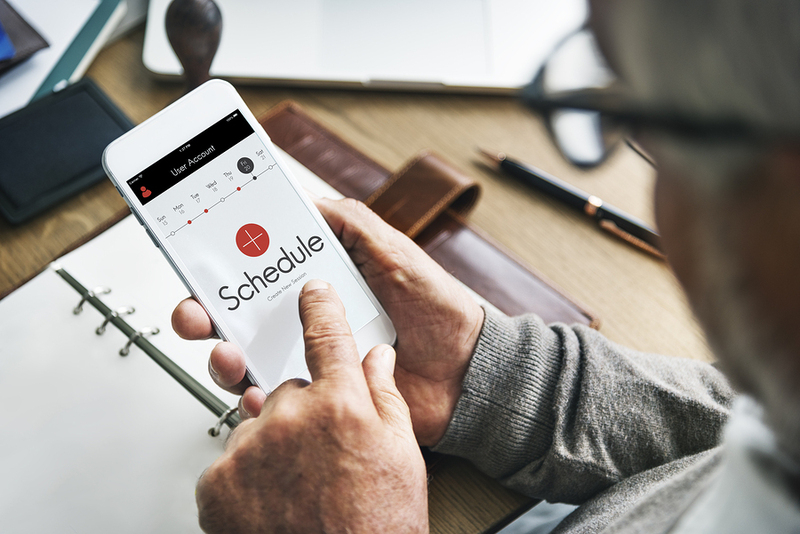 For businesses that use online scheduling software, making the most of tools like this will be an essential component to keeping up with the competition in the coming year—perhaps even the coming months. Did you know that people spend more of their time online browsing social media sites than they do on video and music streaming services combined? And every minute consumers dedicate to social media, they’re reacting to impressions of products, recommendations from friends, and brand outreach. Research shows that 39 percent of consumers are more likely to buy something they see a friend recommend on social media, while 62 percent of millennials are more likely to become a loyal customer if a brand engages with them on social networks. Social media users don’t want to be overwhelmed by options. They want to see something they like, confirm its quality, click a few buttons, and get it immediately. Features like Facebook’s “Book Now” button eliminate the steps in the buyer’s journey between impression and purchase, thus increasing the number of people who convert by reducing the required effort. It’s inevitable that, at some point, call to action buttons like Facebook’s will be common across all the most popular social media sites. That means brands must begin leveraging these features now to outpace the competition and keep conversion rates high. Online consumers are ready to convert at a moment’s notice. And the longer that moment takes, the less likely the conversion becomes. Imagine a woman who views a great deal on a product she’s never seen before on Facebook. A couple of her friends like the page, the product looks interesting, she’s in the target demographic, and the price is right. Should be a slam-dunk sale, right? Now imagine that same woman trying to buy the product without direct social media purchasing. First, she clicks the link, which takes her to the company page. Hopefully, it’s a landing page for the product, but maybe it’s just the company homepage. If she’s dedicated, she’ll power through to find the product and add it to her cart. Now, she has to fill out her personal information—and maybe even create a login. Faced with more typing, she gives up and returns to Facebook. Direct social media booking eliminates many of these steps. Users never have to disengage from their social media browsing sessions to buy a product. They can identify the opportunity, make the purchase, and continue browsing without leaving the online environment they already know. For appointment setting for businesses like salons this process is even more critical. If consumers can’t book an appointment immediately, most will forget to do it later, and those who do remember may not feel as inspired to book outside the heat of the moment (think online shopping cart abandonment, but for scheduling). Booking-reliant businesses can’t let that happen. As streamlined social media options become the preferred method to book, companies that fail to adapt will be left behind. Follow these four strategies to create a social media booking plan that works. Adding a booking button to social media sounds so simple. Set it up, place the call to action, slap on a graphic, and sit back as the requests pour in—but there’s a little extra work you can do to maximize your efforts. Connect social media booking requests to cloud scheduling technology that uses an integrated automation platform. This pushes requests to staff or resource schedules in real time, maximizing booking while minimizing administrative work. After the customer books, the automated system takes care of the confirmation and setup, making it easy to reschedule or cancel. We know that the more straightforward the booking process is, the more likely customers will be to see it through. The same principle applies to a company’s staff members: The easier it is for bookings to reach them, the more effective a “Book Now” button will be for the business overall. Design a workflow that minimizes the need for human intervention to keep requests flowing. Nothing gets people more excited to book than social proof or testimonials that show how other people pulled the trigger and were glad they did. Surround the booking option with validating content to encourage buyers to finish the process. Use marketing language with a human element to get people excited to book. Attach an “influencer” or celebrity quote to make the offer more appealing. Show pictures of other people who booked along with their quotes about how much fun they had. Showcase that five-star rating for the world to see, along with any rankings that make the offer stand out as a must-see in the area. The more appealing the display, the more likely people will be to click. People don’t want to book something that just anyone could get. They want an experience that makes them feel special, something personalized to their specific needs and tastes. Fortunately, a little targeting goes a long way. Take advantage of upcoming holidays to send ads to relevant demographics: Consider dads in a rush on Mother’s Day or horror fans on Halloween. Leverage existing social media tools, like Facebook’s targeting assistance, to put the right message in front of the right people, featuring the booking option as the call to action. Nothing incentivizes action like a limited-time offer, especially during otherwise slow periods of business. Offer discounts and purchase incentives to your followers to keep customers booking throughout the year. Can’t discount a service, or don’t want to go that route? Throw in a free gift, an extra amenity, or a companion treat instead. As long as the offer is good for a limited time only—and booking through social media is the only way to take advantage of it—browsers will pull the trigger. Don’t let in-session social media booking options slip by. Follow these strategies to engage prospects on their turf, make booking more convenient, and position the brand for success in the months to come. Anati Zubia, an “Old Soul Millennial,” is the perfect blend of modern marketing leader and technology geek. As the director of marketing for AppointmentPlus, she has responsibility for leading strategic marketing and business development. Her passion for SaaS and cloud-based applications has only continued to grow throughout her 16 years of marketing within the technology industry.